Paris is one of the most visited cities in the world in THE most visited country in the world. An estimated 85 million people head to France every year with a large number of those heading for Paris. Paris has so much to thrill any visitor. The Eiffel Tower is an instantly recognisable symbol of the French capital and is just one one of many tourist attractions. The galleries, museums, history, food and more are enough to ensure it will continue to attract millions every year. But if you are visiting Paris France for the first time will it be everything you expect? I must admit I have a love/hate relationship with the French capital. 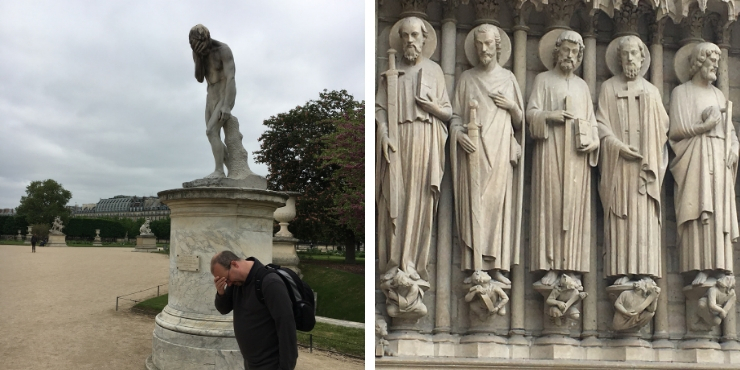 I have visited many times and while there are many great things to do in Paris I have also experienced some of the less attractive aspects of the city. If you are visiting Paris for the first time expect to see things you will love but please be aware of the things that could make your trip less than perfect too. Check out my tips to experience the best of Paris when visiting for the first time! It is often quite fashionable these days for people to describe themselves as travelers and (not gasp horror) tourists. Its as if wanting to see (or admitting it anyway) some of the most famous sights in the world makes you somehow inferior. But there are reasons these places are what everyone want to see – they are famous, iconic and really shouldn’t be missed. Otherwise why go? And in Paris these are the unmissable! Construction started in 1887 on one of the most instantly recognisable structures around the world. Designed by the same bloke behind the Statue of Liberty (Gustav Eiffel) the Eiffel Tower in Paris pretty much dominates the landscape. 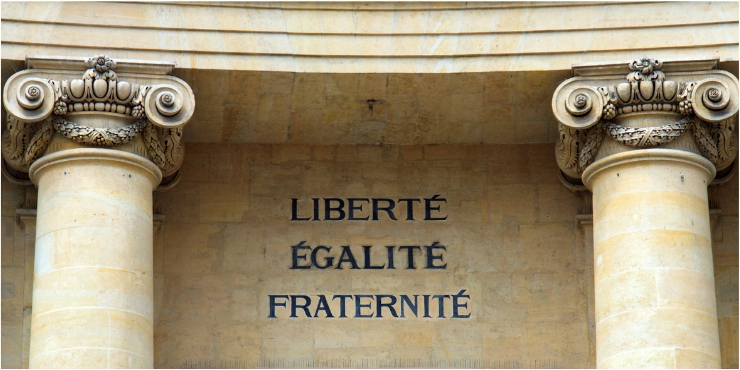 It opened in 1889 a celebration of the centenary of the French Revolution. 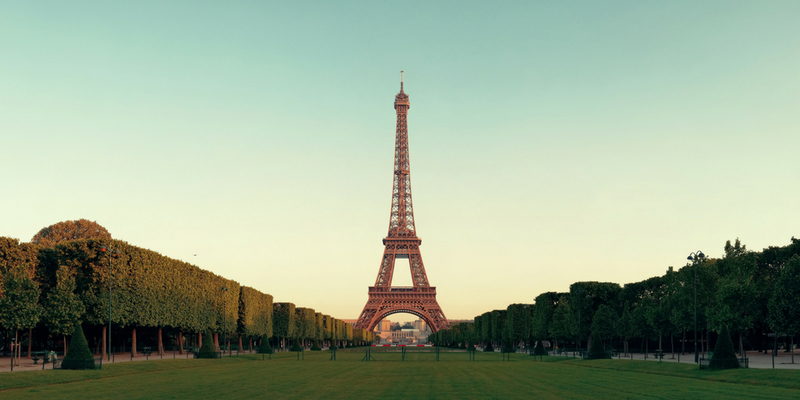 The Eiffel Tower is 300 meters tall and constructed of wrought-iron. 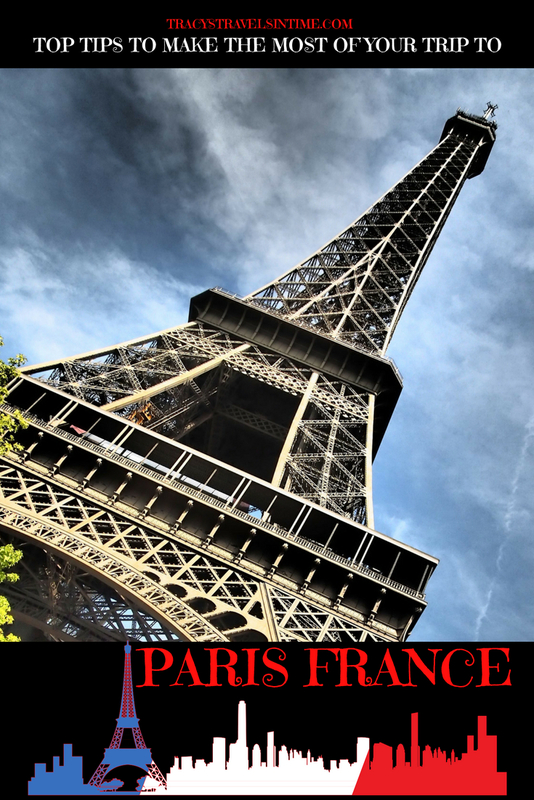 Appearing in many films (who can forget the famous James Bond scene) it is the most visited tourist attraction in Paris with over 7 million ascending the tower every year. The tower consists of 3 platforms. Each platform can be reached by stairs (a total of 1710 to the top) but visitors can only climb to the first and second platforms. There are 2 elevators which take visitors to the various platforms where there are shops and restaurants to enjoy. There is even a Michelin starred restaurant on the second platform. 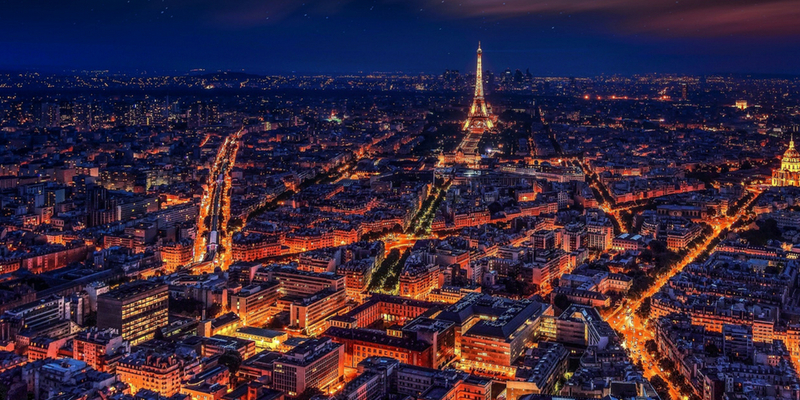 At the very top 276 meters above the city of Paris enjoy spectacular views of the city during the day and at night. Visit the first platform and walk on the new glass floor 57 meters from the ground! Be extremely careful with your belongings around the Eiffel Tower as pickpockets are rife in this area. Look out for the panoramic maps on the third platform which point the way to famous cities around the world. It is always windy on the third floor so wrap up well in the cooler months! Official website – Eiffel Tower. 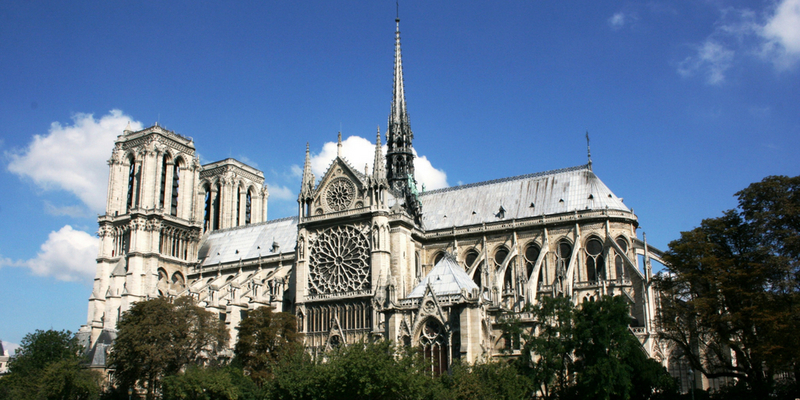 Notre Dame is the most famous of the Gothic cathedrals in Paris and attracts over 13 million visitors a year. Built between the 12th and 14th centuries it is famous for its use of flying buttresses and of course as the home of Victor Hugo’s hunchbacked bell ringer. The cathedral is located on Ile de Cite which is in the city centre of Paris. It is neither on the Left Bank nor the Right Bank of the Seine. If you stand with your back to the front of the cathedral the Left Bank is on your left and the Right Bank on your right! Entrance is free and the cathedral is open between 10 am and 6.30 pm daily. Do not miss the beautiful rose window inside the cathedral. If you want to climb the 422 steps to the top of the cathedral be there by 9.30 am or expect long queues! Check out the famous gargoyles that adorn the cathedral and enjoy the stunning views over the city. The Avenue des Champs-Élysées in the 8th arrondissement is 1.9 km long. Lined with trees, cafes, shops and theatres the avenue runs from the Place de la Concorde to the Place Charles de Gaulle. Walk the avenue and stop along the way for a coffee and a cake. I would advise not to shop on the avenue though as it is rather pricy! 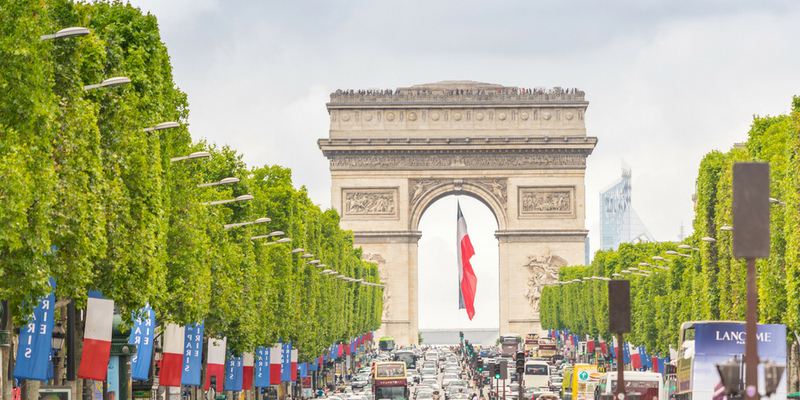 When you arrive at the Place Charles de Gaulle you will be facing another of Paris’s most iconic structures – the Arc de Triomphe. Built between 1806 and 1836 to commemorate those who fought in the Napoleonic Wars. For fabulous views of Paris and the avenue climb the 40 stairs to the top. If you wish to climb to the top of the monument DO NOT cross the traffic circle to do so! Take the underground tunnel on the Avenue de la Grande Armee side of the circle. Access the tunnel from the Wagram Metro exit. 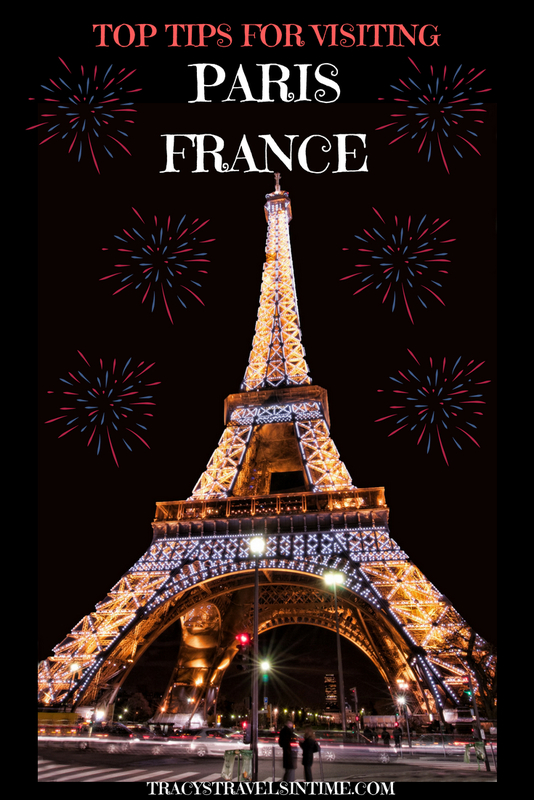 Visit the Arc on Bastille Day (July 14) when the French celebrate the anniversary of the French Revolution. There is a parade along the length of the avenue and a party atmosphere. 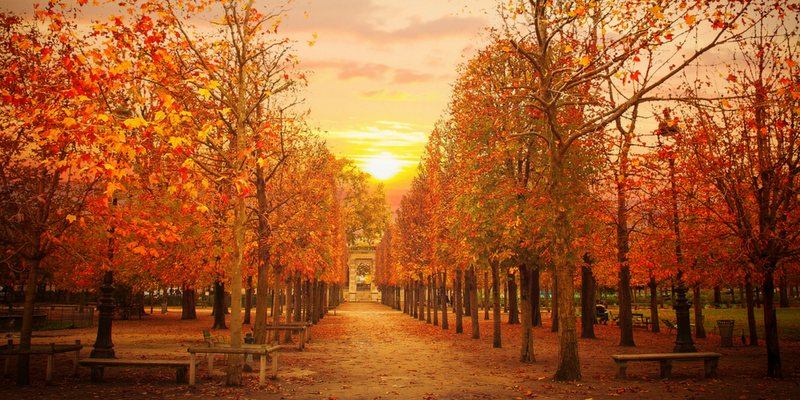 This beautiful public park and garden is located between the Louvre and the Place de la Concorde. It was created by Catherine de Medici in 1564 it was only opened to the public after the French Revolution. The garden takes its name from the tile factories which originally stood on the site. There are a number of famous sculptures in the park including 4 by Rodin. Visit the Louvre in the morning then exit via the pyramid and enjoy a stroll through the park and onto the Place de la Concorde. Lovers of candy floss and fairground rides should visit from June to August to enjoy the Fête des Tuileries! This is one place you would probably not have have wanted to be in 1789 and subsequent years following the French Revolution. The Place de la Concorde is the largest public square in Paris and also the site of many executions (by guillotine) during the revolution. King Louis XVI, Marie Antoinette and Robespierre were all executed here. In the centre of the square is a giant Egyptian obelisk dating back to the reign of Remesses II. It was given to the French government by Egypt in the 19th century. 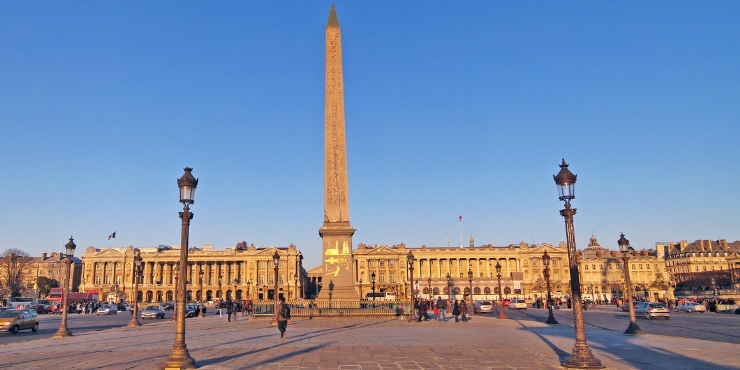 With the Champs Elysee to the west and the Jardin des Tuileries to the east the Place de la Concorde is perfect to include in an itinerary for those who enjoy walking. Start at the Louvre, stroll through the gardens into the square and then up the Champs Elysee to the Arc de Triomphe. Don’t miss the 2 stunning fountains. Built during the reign of Louis Philippe I they are dedicated to rivers and the sea. 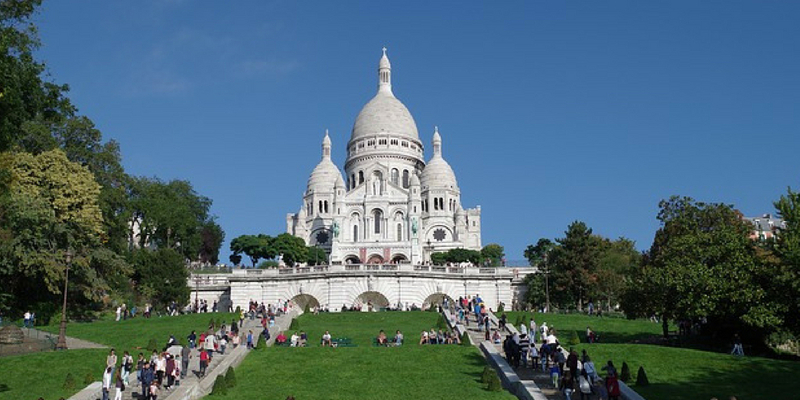 Once the home of artists such as Dali and Picasso the Montmartre district gives visitors spectacular views over Paris. The dome of the Sacré-Cœur basilica dominates the hilltop. A short rest on its steps, to enjoy the view, and recover from the (many) steps needed to climb to reach this point is a must! Don’t miss the Place du Tertre where you will find artist stalls and great restaurants and cafes. I would highly recommend just wandering the cobbled streets of Montmartre (start at Metro Blanche – Moulin Rouge or Metro Abesses) and slowly making your way to the top of the hill. There are lots of steep streets and hundreds of steps so its a great place to work off all that French food you have been eating. Again beware of the scammers and pickpockets this area is notorious for. For those with children or mobility issues there is a small white mini-train to take you up the hill which departs from Place Blanche. 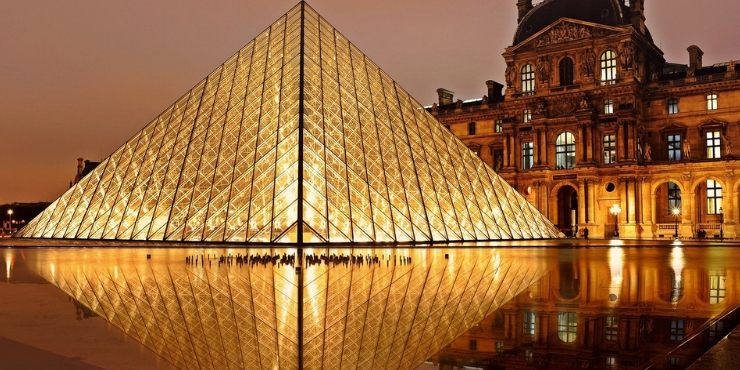 The Louvre is THE most visited museum in the world with an estimated 10 million visitors a year. There is far too many treasure housed in this old palace to see in a day so I would advise planning what you DO want to see and mapping out your route. If you are in Paris on the first Saturday of the month admission is free and the museum is open until 9.45 pm. 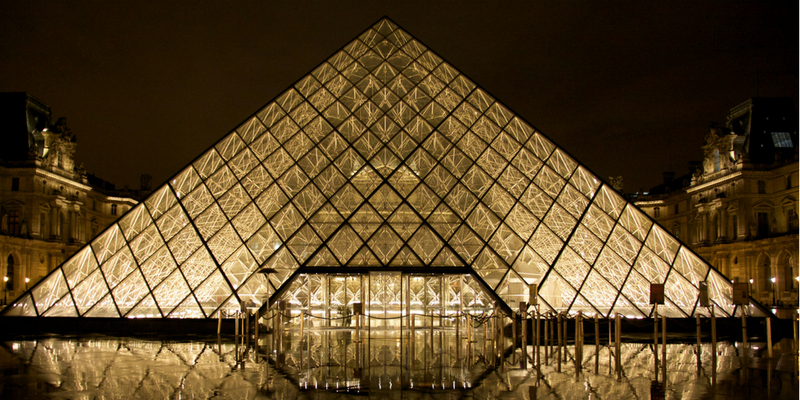 For more information about the art treasures I recommend check out my post – Top 10 treasures to see at the Louvre. 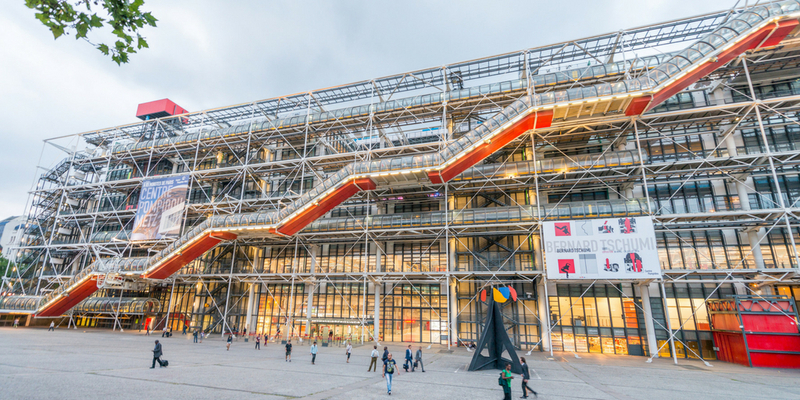 If modern art is more your thing head to the Pompidou Centre which houses some of the best art works of the last century. Rothko, Pollock, Warhol can all be seen in the art museum which was opened in 1977 and named after the President of France from 1969-74 Georges Pompidou. Visit early in the day to avoid the queues and don’t forget to head to the rooftop for great views of Paris. The Musee D’Orsay is where you will find some of the greatest European art from the 19th and early 20th centuries. Artworks by Renoir, Van Gogh, Degas, Manet, Monet and Cézanne are on display in this museum. Originally a railway station the museum was opened in 1986 and houses 2000+ paintings and 600 sculptures. If you are visiting the Musee D’Orsay for the first time I would recommend a guided tour to get an overview of the artists. 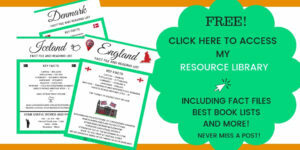 TIP 3 – BOOK YOUR TOURS WELL IN ADVANCE! A selection of the best tours in Paris from Get Your Guide. Skip the queues and head straight to the top (or the second floor if you prefer) No hanging around for hours waiting for your turn. I always book priority access as I don’t want to waste my holiday in lines! Revel in the sumptuous settings of the Moulin Rouge, the world-renowned cabaret in Paris, with a ticket to the spectacular show “Féerie”. Sip on sparkling Champagne as you savor international performances filled to the brim with feathers and rhinestones. 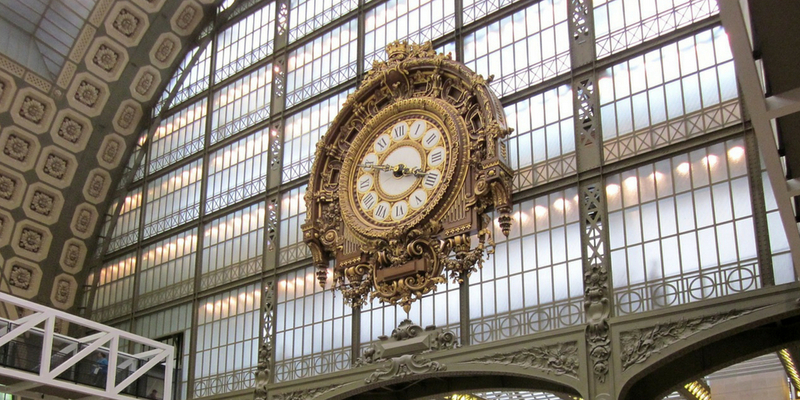 Get an expert introduction to one of the most celebrated museums in Paris on a 2.5-hour private tour of the Musée d’Orsay. Skip the long lines for an attentive and individualized tour of masterpieces by artists such as Monet, Van Gogh and more. 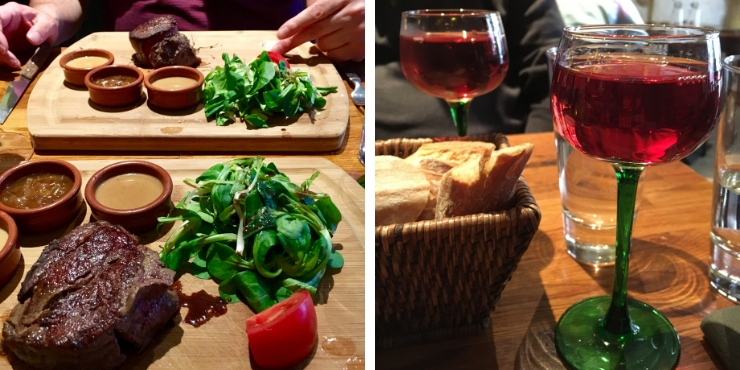 What is not to love about French food? When I moved to France in 1989 from South Africa I literally had my mind blown by the food…the love and care taken to prepare meals…the variety.. the beautiful presentation. The world has moved on a long way since those days and tastes are more cosmopolitan generally but I still love French food. If you are heading to Paris I have picked out 2 places that I would highly recommend! The first is Sacree Fleur which is in Montmartre. If you want to eat at this restaurant you MUST book… at least 20 people were turned away trying to get a table when we ate there. The food was beautiful. This is not a restaurant for vegetarians by the way as their steaks are spectacular. Book via their website….and then ensure you reconfirm 24 hours before! They are seriously popular. 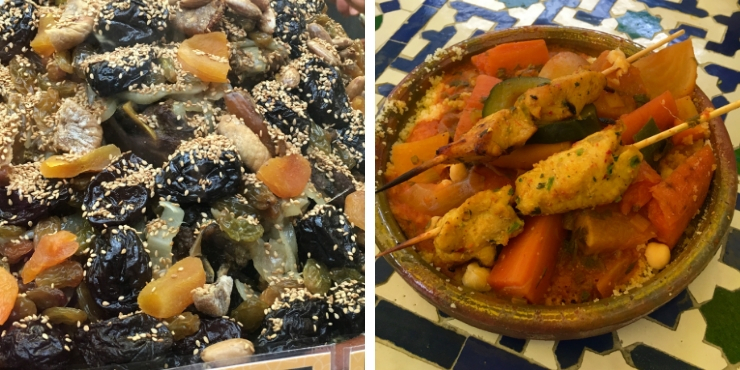 The second is a fabulous Moroccan food stall in the Marais district of Paris. The stall can be found in the Marche couvert les Enfants Rouges in Marais. 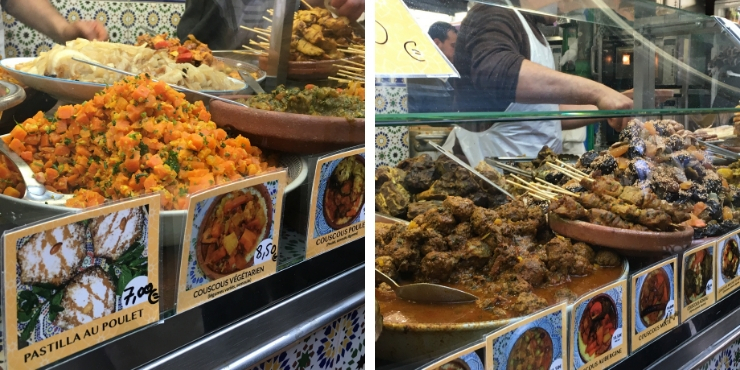 Do not be put off by the queues – this is a popular eating place for locals and once you have tasted the food you will know why! Highly recommended and if you have not tried Moroccan food before I would suggest the cous cous royale! Visiting Paris with children – read all about things to do in Paris with kids. I always try to learn a little about places I am planning to visit. As a history teacher (in a past life) I actually taught the French Revolution to my pupils. I would suggest reading up if you don’t know much about the history of France as it will make your visit perhaps a little more meaningful. Visiting places like the Place de la Concorde (scene of many executions during the French Revolution) will mean more if you know about its bloody past. Read more in this great selection of books about Paris compiled by Lucy from The Literary Edit. Why don’t you add on an excursion to Strasbourg. This beautiful European city is only 2 hours by train from Paris and is famous for being the seat of the European Parliament. The sights, the museums, the food, the ambiance all wonderful things to enjoy in Paris. But there are experiences you really DO NOT want to have. If you are visiting Paris for the first time be aware and please learn from my experiences. We were constantly warned either verbally or on posters about the problem of pickpockets in Paris. Do not ignore these warnings as it is a genuine problem. I had invested in an anti-pickpocket bag a few weeks before our trip and I am so glad I used it in Paris. Tourist areas are obviously key sites to be REALLY careful with your belongings – the Eiffel Tower, the Louvre, Montmartre etc. We actually witnessed a pickpocket being apprehended by a couple of guys who were selling souvenirs. Once they caught the boy they emptied dozens and dozens of wallets and purses out of his pockets and bag. We saw no police anywhere and clearly he had been very busy that morning. The Metro is also a key area to be extra vigilant. We had a bad experience on a train from Abesses when I was crowded by a gang who then attempted to steal from my backpack. I wasn’t able to move and it was only when the people got off at the next station that we realised that my backpack had bee opened. 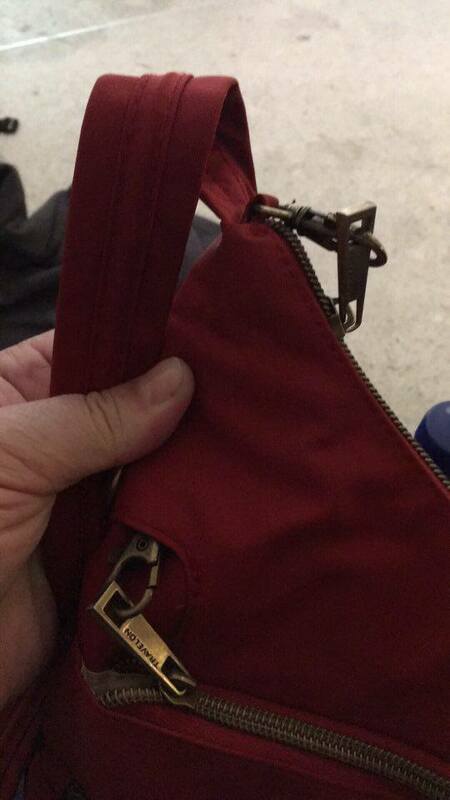 Luckily everything of value was in my cross-body anti-pickpocket bag (it has locks and is anti-slash) and my backpack held purely clothes, my deodorant and toothbrush! However not a pleasant experience – and we were being careful!! There are a number of other scams to be aware of if you are visiting Paris. The first is a scam involving string/wool. You will be approached by a man or woman saying they will make you a friendship bracelet or ring whilst attempting to tie string or wool around your finger or hand. DO NOT LET THEM ! We have actually witnessed this happen to a couple. The man or woman will wrap and wrap the string or wool over and over your hand or finger until it is tight. At this point an accomplice will come and stand beside him. He will then refuse to undo the string now tightly bound around your wrist or finger unless you pay. Apparently this is one of the top scams in Paris and is very common in Montmartre though we also saw it at the Eiffel Tower. Another scam is the fake petition scam. You will be approached by someone smiling happily, holding a clipboard and trying to engage you in conversation. They will ask if you speak English – SAY NO! If you say yes they will attempt to get you to fill in a form which they will then say is your agreement to give them a donation. Although these are may be viewed as petty crimes they are unpleasant. Please be very vigilant and while our experiences didn’t spoil our weekend they did underline the need to be aware of pickpockets and petty criminals at all times. I would highly recommend taking precautions against the pickpocket and the best way to do this is to make it harder for them to rob you. With this is mind check out my buying guide to the best anti-pickpocket bags on the market. I would not travel without mine now. Check out these great quotes all about the wonderful city of Paris for more inspiration before your trip. 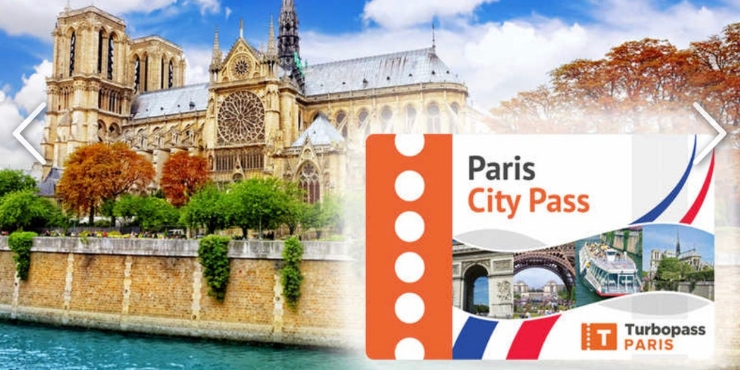 Save time and money with a 2, 3, or 6-day Paris Sightseeing Pass and enjoy free entry to more than 60 city attractions plus bonuses! With your pass, you’ll get free access to public transportation, a guidebook, and discounts at restaurants and shops. I have a number of posts about Paris and France which you may be interested in reading. 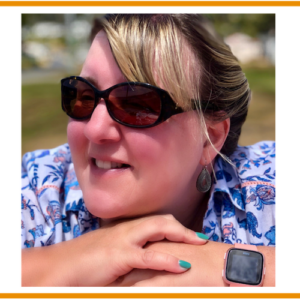 I update and add new posts on a regular basis so why not subscribe to receive my monthly newsletter as well as gain exclusive access to my resource library? The library is only available for subscribers and includes fact files and best book lists for a number of countries around the world. 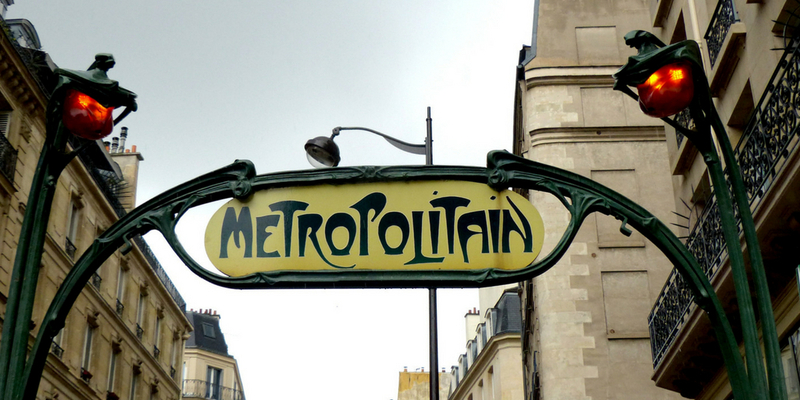 Essential reading for anyone visiting Paris – things NOT to do in the French capital. How is your French? Test your skills with my French language quizzes – French food vocab quiz. 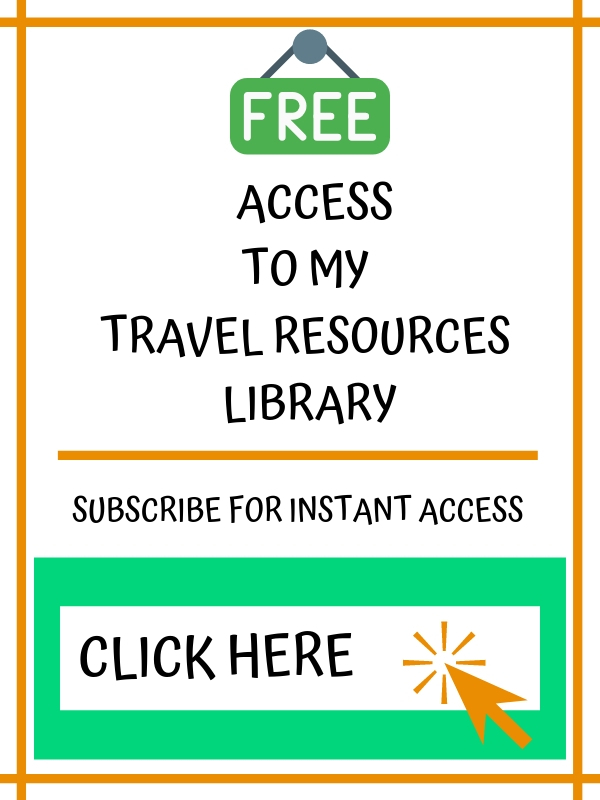 My top choices of books to read before you visit Paris/France. Would you like to see old photographs of cities in Europe and the world in the 1800’s including Paris? This post was compiled using photographs from a book my Great-Grandfather received from his school in 1903. I would never travel without insurance. I recommend World Nomads for all your travel insurance needs. Get a quote now! There’s so much to do over in Paris. Do you also post your photos on Instagram? Hi yes I am on Instagram and Twitter. 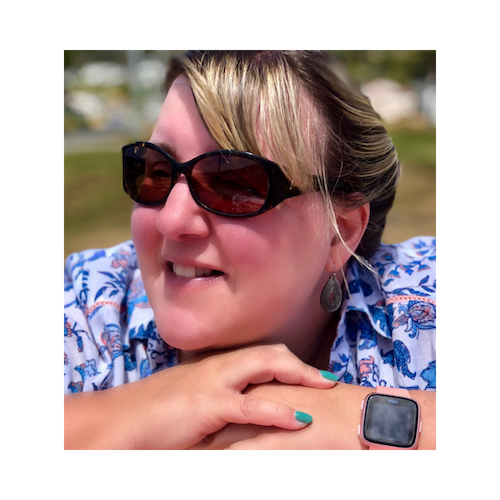 Links are on the top of the page or just below my picture on the about me section. Thanks. I love Paris and you can never go enough times 🙂 I enjoyed reading your post and it makes me want to go visit again. It’s some years since I’ve visited Paris and although we didn’t feel threatened, there were a lot of beggars, especially around the Eiffel Tower. How did you get on in Rome – the souvenir sellers around the Trevi fountain were a real pain when we visited. Ah yes the Trevi fountain – what a nightmare! I reckon they move the Venus on a nightly basis and stand back and watch us all frantically try to find her!! Ooh I love Paris but the very first time we visited my husband’s wallet got stolen on the metro stop near Notre Dame. It was a very bad start to a trip which was arranged to buy a property in France as our holiday home. Anyhow after a long and expensive call back to Australia, we got sorted and continued to enjoy Paris and regional France and also buy a house! I agree getting your pockets picked and stuff stolen is an unpleasant experience. Wow a holiday home in France must be fantastic! I lived in France for a few years and it may feature again in our lives I hope – off to Australia though soon! Paris is a real love/hate city for me – but i will always go back as the loves always win! Great article for first time visitors 🙂 Which anti theft brand bag is that? Everyone should have one! It is a Travelon one – check on Amazon – a totally fantastic buy! Well recommend getting one! Of course I love Paris! I write a blog about it. ? You are right about the petty crime. If I don’t speak (I have a Texas accent), most people think I’m French and leave me alone. I also put on my best Parisian “I’m so disgusted with everyone being so annoying” look. Lol! I have a similar bag and can’t stress enough how great they are! Lol that is a good idea! And yes those bags are the best! I want a few more – my red one has had a lot of use! I think it is the city I have had the least luck in! We couldn’t believe what we saw – pickpockets and scams – not nice. Hope you haven’t jinxed yourself! !